For apartments or small households, it’s sometimes tricky to find space and use for a full-sized washing machine. However, there is a line of small washing machines designed to be compact and portable. For a household of 1 or 2 people, you’ll be looking for around 3kg-6kg load capacity. Follow our guide for all the specs and features to see if a small washing machine is for you. Why buy a small/mini washing machine? 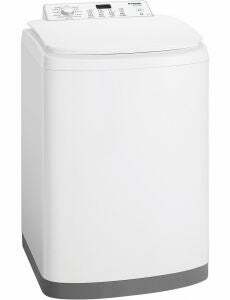 A small washing machine is most suited to those living on their own or in apartment where space is at a premium. A small washing machine helps maximise smaller living spaces while maintaining the cleaning power of a full-sized machine. The standard small sized washer is approximately 900 x 550 x 550mm (HxWxD) in size, making them accessible for most cabinet dimensions. For 1-2 people, a smaller washing machine may also help to cut down on electricity and water bills. No longer will you need to haul up large piles of clothing before doing a load. Even lugging the heavy load to the drying line is an effort when there’s no one around to help. Bigger cycles require more time to wash, while small loads can be cleaned more effectively in a much quicker wash. It’s definitely worth considering if you’re constantly in a rush or just don’t want to be waiting for your clean laundry all day. However, if you do find yourself doing millions of mini-loads, perhaps finding space for a large capacity washing machine would be a better choice. When it’s raining or you simply lack space for a drying line, a clothes dryer becomes a necessity. You don’t want to be stuck filling up every single area of your place with wet laundry to air dry. If there’s a lack of space horizontally then a washer dryer combo may be an option. It helps utilise the space to its best capacity without needing to stack up two appliances one on top of the other. Despite the higher cost, you’re buying two machines in one, so the price may be much less compared to buying a set from certain brands. The washer-dryer machines normally start from 6kg load capacity, still maintaining a small unit size. Most washer dryer combos also don’t require venting, giving you flexibility of where you place it. How much do small (compact) washing machines costs? Most small sized washing machines cost between $300 and $650. However, if you’re after a high tech model, these can go up to more than $5,000, in particular for the small capacity washer/dryer machines. You can still find washer dryer combos for as low as $800 nevertheless. 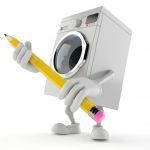 How energy efficient is a compact washing machine? Small size units aim to be compact and cost efficient. Make sure to check the energy star rating before you purchase to find the one with the highest rating. 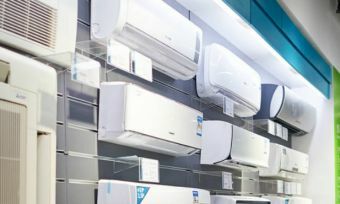 While you may need to pay a little extra for more energy efficient models, it will cost you less long term. Who sells small washing machines? The smallest of the lot – more suited for holiday home caravans or camping trips – is the Lemair XQB32 3.2kg Top Load Washing Machine. 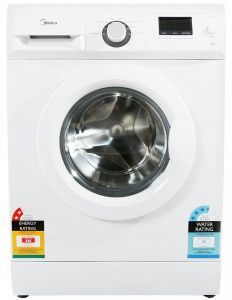 It has an 850RPM spin speed with four different wash cycles – wash, rinse, spin or gentle. It even lets you select the water level and is claimed to be easy to transport, with just a single water and power connection. It comes with a 1 year warranty. These models seem to represent good value for money with their wide range of programs and high spin speeds of 750RPM, 1,000RPM and 1,200RPM respectively. These fast spin speeds help to decrease the drying time. They also have a quick wash cycle, particularly useful for small loads to save you time and money. The downfall is that all models sit at just 2.5 stars, or lower, for energy efficiency. You may be spending around $98-$164 in electricity every year (according to the Standard Test). There’s a 2 years warranty on the full range. 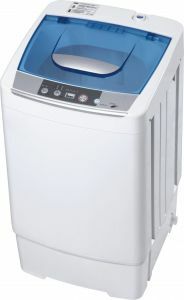 Midea produces one model ideal for singles or couples. The Midea MFWS512 5kg Front Load washing machine has eight different wash cycles, including a quick wash. It also has a foam detection system to automatically adjust wash settings if detergent begins ‘oversudsing’. It’s an entry-level washing machine yet is still equipped with features you find on larger capacity models. It has a 1,200 RPM spin speed and 2 years parts and labour warranty. It can use approximately $117.74 of energy per year. 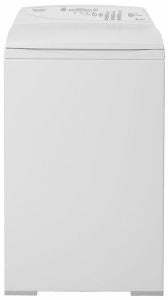 Simpson has just one small washing machine – Simpson SWT5541 5.5kg EZI Top Load Washing Machine with a standard 2 year warranty. It features 11 washing programs, including a bedding and a fast wash program. It has cold and hot water inlets to help reduce energy consumption. It’s also equipped with a spin speed of 850 RPM, utilising around $111.07 of energy per year. Fisher & Paykel’s small washing machine has a 5.5kg load capacity with a spin speed of 1,000 RPM. It has a convenient auto-lint disposal system so you won’t have to clean out the lint filter after every wash like with other models. It features a quick wash and an ‘Eco’ option that’s stated to use 25% less water than a regular rinse. The QuickSmart 5.5kg top loader (MW513) is also boasted for its ‘Smart Drive’ system, stating to adapt the wash action and water levels to help save water and electricity. Nevertheless with its 1.5 star energy rating, it can use around $144.71 of energy per year. There’s a 2 year warranty on this model. The Esatto ERLW55 5.5kg Top Loader is another compact washing machine that seems to cater to small households. It’s equipped with eight washing programs and has a spin speed of 700 RPM. According to the standard test, it uses around $116.29 in energy per year and comes with a 2 year warranty. While most small sized washing machines don’t feature a great deal of high tech features, they still aim to get the job done. 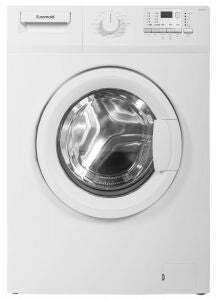 Things to look out for with small washers include – high spin speeds and high star energy ratings. Ensure to measure the space you have available, allowing room for top loaders to open up – otherwise you may need a front loader. Additionally, ensure there’s enough room for washer hoses and dryer vent components to function. If you’re purchasing an additional dryer, the washing machine needs to allow for stacking as there are some that don’t. Is a small washing machine right for me? Whether you’re living on your own or wedged for space, a small washing machine may just be up your alley. With many costing less than $600, it can help cut down on costs. In general, large capacity washing machines use more water and energy per wash cycle than smaller models. Depending how often you do the washing, a mini washer can impact positively on you power and water bills. 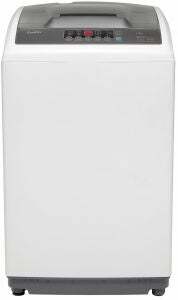 The small capacity washer dryer combos – although not as compact – are still smaller than buying a set and tend to have more high tech features. These tend to be around the same size as a small washing machine but may have a slightly higher price. Elderly may struggle reaching a dryer that’s stacked on top, so you need to take this into consideration. In will ultimately depend on your budget and washing needs to know which small washing machine is best for you. Compare brands with our customer ratings via the link below.